Mellow Mushroom is an American chain of pizzerias that serve gourmet pizzas, hoagies, salads, appetizers, calzones, cocktails, and craft beers. Each restaurant has a unique atmosphere. The privately owned company owns some of the restaurants, and franchises the rest. You will find a link for a Mellow Mushroom application at the bottom. Three college students founded the business in 1974 in Atlanta, Georgia, near Georgia Tech. They soon opened more locations nearby due to popularity of the pizzeria. The company began offering franchises in the 1980s. Today there are more than 170 stores in 21 states, with more expansion planned and underway. The business is currently headquartered in Atlanta, Georgia, and its CEO and president is Richard Brasch. The pizzerias are all designed and decorated differently, so each restaurant has its own feel. Some have entertainment. They all serve the same menu, including a kid’s menu, and offer a wide range of craft beers. Some of the gourmet pizza offerings are Kosmic Karma, Magical Mystery Tour, Funky Q. Chicken, Holy Shiitaki pie, Bayou Bleu, Thai Dye, and Mellowterranean. The restaurant sells its own line of logo clothing and accessories, as well. A printable application for Mellow Mushroom careers is available at the website below. The corporate office of this company is small, and career opportunities are limited. They do offer an online application, and will take an uploaded resume, as well. You can send in an application form and wait until they are hiring. You can also contact them through their website for franchise opportunities. Numerous job opportunities in the restaurants are posted at the company site. Some examples are Server, Bartender, Line Cook, and Manager. If you are interested in any of these Mellow Mushroom jobs, you can apply online, or you can download application form and take it in to your local restaurant. How old do you have to be to work at Mellow Mushroom? You must be 18 to work at Mellow Mushroom. The pizzerias sell alcoholic beverages. Many positions require at least a year or two of experience. You should read the job description to make sure you qualify before you fill out applications. The restaurants provide employees a working environment that is laid-back, supportive, and artistic, and they offer advancement opportunities. Some employees receive benefits with health insurance and time off. All receive training. Store hours vary. Sunday through Thursday 11:00 AM to 10:00 PM, Friday and Saturday 11:00 AM to 1:00 AM are typical store hours. Host/Hostess – The Host or Hostess seats patrons, keeps track of servers’ sections and table sizes, prepares silverware, and menus, greets guests, and may or may not also be the Cashier. The Cashier takes payments and serves carryout orders. Pay starts at minimum wage, but may be more based on experience. Server – As a Server, you would take customers’ orders, be able to recite menu items and beers on tap, ID customers who order alcoholic beverages, communicate with other staff to fill orders, serve food and beverages, and calculate bills. Pay for this position is $2.13 per hour, but Servers earn tips. Line Cook – This is considered a Back of House Position. As a Line Cook, you would prep ingredients for salads and other items, make pizzas, keep your work area clean and organized, and prepare food as Servers order it. This position starts at minimum wage, but with the chance to move up. Bartender – The Bartender takes drink orders from customers and servers, mixes cocktails, and pours beers from taps. The Bartender also keeps track of stock in the bar, keeps the bar area clean and up to health codes, and asks customers for ID when appropriate. This is a Front of House position. Bartenders’ salary is commensurate with experience, and is supplemented with tips. Are you over 18? This pizzeria is also a bar. You must meet the minimum age requirements for employment in a bar, depending on which state it is in. Be sure that you can meet all of the job requirements for any position that you apply for with the business. Will you be on time? Punctuality is listed among the responsibilities for jobs with this company. You must not be late for your interview, and you’ll want to assure your interviewer that you take Mellow Mushroom careers seriously enough to be on time and ready to work when your shift begins. Are you creative? You won’t have to be artistic to work for this company, but if you are, you may get to use your talents to make signs or to help organize events. This company is artistic and unusual in the pizza industry. If you are a more practical type, tell your interviewer how you can take care of other important tasks. Can you work flexible hours? Restaurants are open every day, and are busiest when most people are not working. You would be expected to work week-ends, nights, and possibly holidays. Be sure that you can work the hours they will need you before you fill out a Mellow Mushroom application. Could you work with someone you don’t like? The vibe in these restaurants is laid-back, peaceful, and easy going. Serving pizzas and beers smoothly when it’s busy requires teamwork and a professional attitude. Let your interviewer know that you could put your differences aside, or better yet, get along with others in the first place. It won’t be necessary to wear a suit for you interview with the pizzeria. Wearing something that’s clean and shows your artistic flair could help you stand out from other applicants. Apply for jobs at Mellow Mushroom by going to the application links below, visiting their site, and filling out a free application. This company takes time to train all of its employees and offers chances to advance. Food service is a people oriented industry. Being friendly and warm will help you get hired. 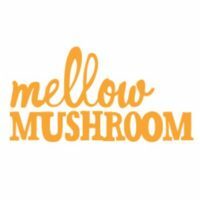 You can browse Mellow Mushroom jobs online by location, view store hours, and get a printable application form at the website at the bottom. Mellow Mushroom jobs are rated very highly by employees because they are fun, the restaurants have great atmospheres, and the food is really good. If you would like to know how to apply for Mellow Mushroom online, go to the website through the links below. You will be able to upload your resume, or send a direct application to the company or an individual store that posted a job. You can also download an application and take it to a store in person.